With more than 175 million Americans taking part in Halloween fun this year, you can bet that part of that fun includes going trick-or-treating. Americans are estimated to spend as much as $2.6 billion on Halloween treats, according to the National Retail Federation. Among those who celebrate Halloween, 95% will purchase candy. So we can see how Halloween spending adds up to those numbers! 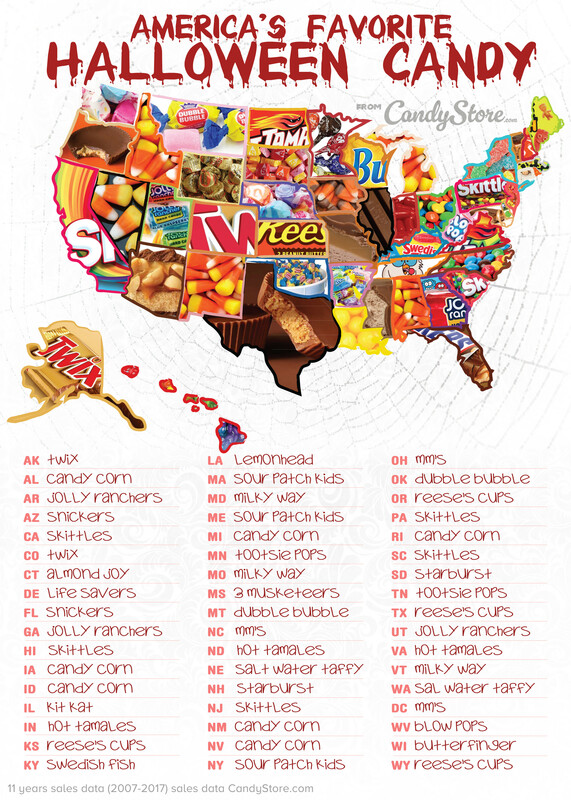 With the variety of Halloween candy options, what are Americans spending it on? According to data collected by CandyStore.com, Skittles takes first place, followed by M&M’s and Snickers! CandyStore.com also went on to break down the data by State. 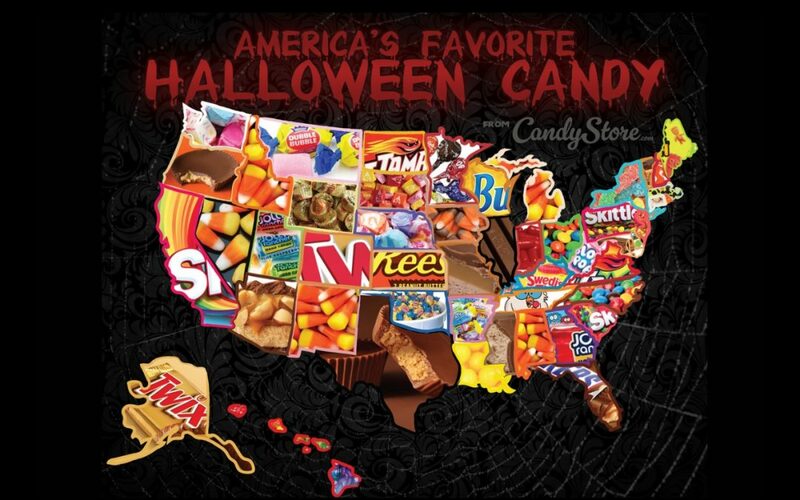 See which is your State’s top Halloween candy! Let us know in the comments below which is your favorite Halloween candy!